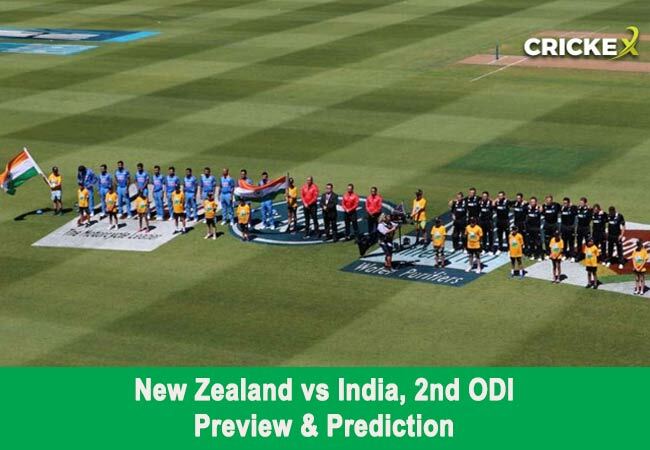 New Zealand vs India, 2nd ODI: India bulldozed New Zealand by eight wickets in the opening one-day international at Napier to go 1-0 up in the five-match series. New Zealand and India have now played 97 one-day internationals against each other with the latter leading the scoreline 52-44. One of those encounters has produced a tie. India have now won four of the last five one-day internationals they have played against New Zealand, including the most recently played three. In the first match of the ongoing series, India shot out New Zealand for 157 in 38 overs before knocking off their target inside 35 overs to seal a comfortable eight-wicket victory. New Zealand have never faced India in a fifty-over contest at the Bay Oval in Mount Maunganui. Final Verdict: Back India to beat New Zealand in the second ODI at 1.72 with Khel9 .